Cold, bronchitis, bronchiolitis, running nose, chesty or wet cough are common for babies andchildren. 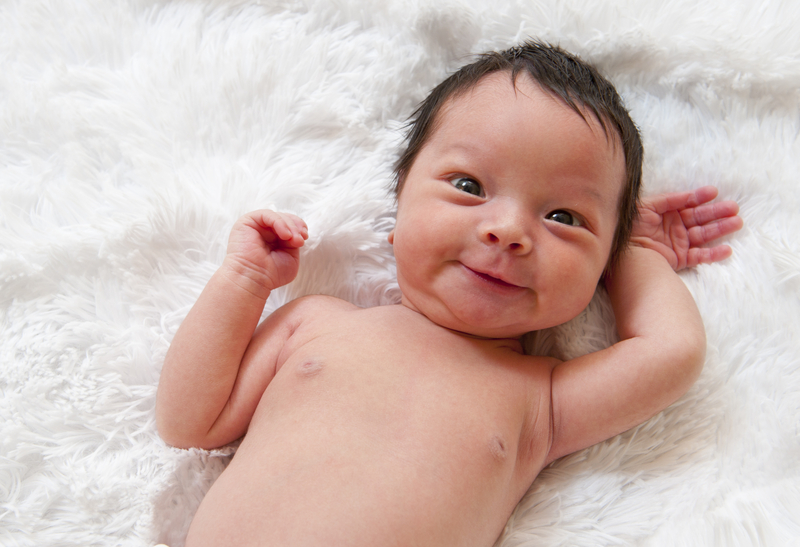 During this illnesses, babies have difficulty breathing, cough a lot, lose their appetite and have difficulty sleeping. These illnesses can be distressing for the baby and the parents, even more because if untreated, baby can end up at the emergency for respiratory distress. This is due to the fact that babies have weak abdominal muscles which do not allow them to make a strong cough and so to get rid of the mucus in their lungs. Chest Physiotherapy will clean their lungs and upper airways from the mucus and allow them to breath, sleep and eat better and so to reduce the length of their illness. Chest physiotherapy is a natural but very efficient technique. With more than 15 years of experience and an extensive knowledge in babies chest infections and bronchiolitis, Baby Physio is a team of paediatric physiotherapists specialisedin chest physiotherapy, making them the best and first specialists in chest physiotherapy in London. Our team only uses the new chest physiotherapy method, which is more gentle and more efficient than the previous technique of clapping. In order to avoid any risks of contamination for your baby, our paediatric chest physiotherapist can see you in the comfort of your own home in London. However, in certain cases we also have the possibility to see you at the Light Centre Belgravia SW1 in Westminster near Victoria Station, or at our therapy room in Clapham SW4 near Clapham Common and Clapham South Stations. We are covered by most health insurances and are Bupa recognised and AXA PPP recognised. What is the goal of chest physiotherapy? The aim of chest physiotherapy is to clean baby’s lungs and upper airways from the mucus restricting normal breathing. This will allow your baby to sleep and eat better as well as to reduce the length of the illness by more than half, as better breathing will allow your baby to use their energy to fight the virus more efficiently. At what age can you do chest physiotherapy on a baby? Chest Physiotherapy being a manual and natural treatment, you can start doing chest physiotherapy on a baby as soon as necessary. We even do chest physiotherapy to help premature babies breath better. What infections can be treated by baby chest physiotherapy in London? Chest Physiotherapy is not only used on babies and infants, it is also a very efficient technique, along with respiratory exercises, for adult patients who either need to recover faster, or who are older and have difficulty expelling mucus. It can also be used after a surgery or for a patient with COPD. How does a chest physiotherapy session work? A chest physiotherapy session starts by a conversation with the parents to determine the frequency of the cough and how the baby is sleeping and eating. The physiotherapist will then listen to the baby’s lungs with a stethoscope which will allow them to find the location, the amount and the density of the mucus (whether it is thick or fluid). With all these informations in hand, the physiotherapist will be able to make a diagnosis and to decide and tailor the frequency and intensity of the chest physiotherapy. The physiotherapist will clean baby’s congested nose with some saline solution and a baby nasal vacuum. In the meantime, the physiotherapist will show you how to do it yourself in a correct manner, as you will have to repeat it several times during the day. The physiotherapist will then apply one hand on your baby’s belly in order to compensate their abdominal weakness and the other hand on their chest. Gently the physiotherapist will follow the baby’s respiratory rhythm with the hand on the chest and will accelerate the expiratory flow. This repetition will move the mucus up toward the throat. Once the mucus is in the throat, the physiotherapist will stimulate the baby’s cough reflex, allowing the baby to expel the mucus. Once baby’s lungs are free from the mucus, they will allow the normal oxygen flow from his lungs to his blood. Chest Physiotherapy is natural, efficient and painless. Cleaning the mucus from his lungs will be a big relief for your baby who will then be able to eat, breathe, and sleep better.